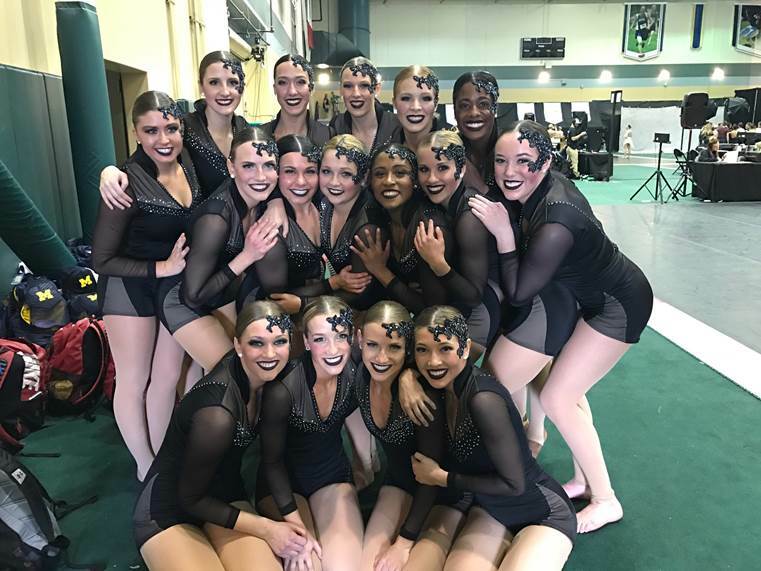 The Ohio State University Dance Team just got back from a 2nd place finish in both Division 1A Pom and Jazz at UDA Collegiate Nationals last month! The team really left it all on the floor with their jazz performance, choreographed by Ricky Ruiz. The team also consulted with TRIBE 99 on their competition prep, and one look at the performance video (below) proves the team's hard work really paid off! "We really worked on getting the girls to dance bigger than life with the piece," explained TRIBE 99. "When we first came in, they were hesitant and holding back. Something that was a huge part of their nationals prep was not comparing themselves to their competitors ... to not think of themselves as apples to apples or oranges to oranges. We wanted them to be the "banana" in a sea of apples and oranges. So standing out through their performance and dancing was a huge push from Carsen and I!" said Anna of TRIBE99. The team danced to the dark, stormy song Swing by Dawn Golden. "The song and choreography definitely served as inspiration for the costume," Coach Melissa McGhee said. "It is a little more dark and contemporary so we knew we wanted something simple, but that would compliment the performance." 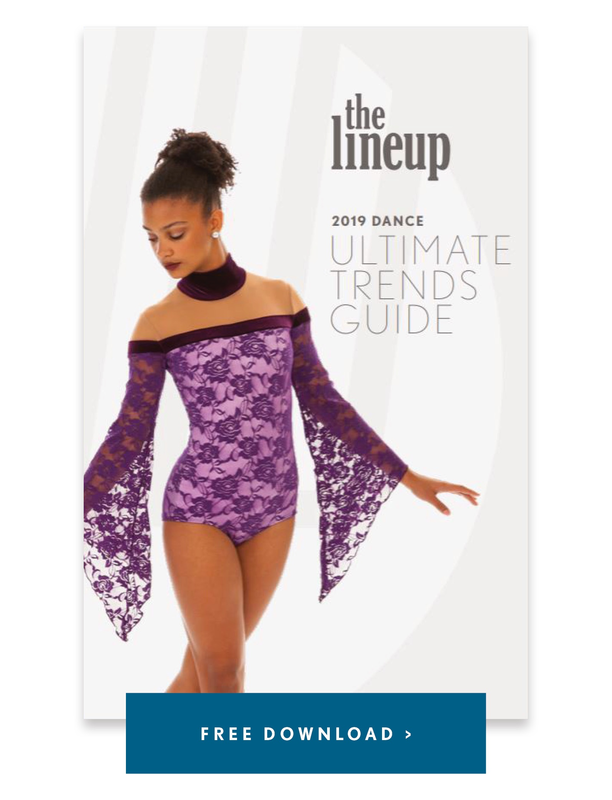 Their simple and elegant black jazz costume fit the bill - a fresh and modern style that set the team apart from the ever trending romantic look. They started with Luca leotard, adding sleeves and a dramatic lace head piece to complete the edgy look. It was one of our favorites from the past season! Congratulations on an impressive season, OSU! Check out more Q&A with coach Melissa below. We performed to Swing by Dawn Golden. He is a fantastic artist — everyone should check out his music! We are fortunate to have two main focuses throughout the year. We support our athletic department, which has 36 Varsity Sports and over 1000 student athletes. This involves providing spirit and support for Football, Men’s and Women’s Basketball, Volleyball, Wrestling and more. Additionally, we compete nationally to represent our University at the UDA Collegiate National Championship. Our favorite memories of the season would include the Ohio State v. Michigan Game at home where we won in overtime. We also placed 2nd in both Pom and Jazz at the UDA Collegiate National Championship and loved performing for our alumni, friends, and family! This season we brought on 8 freshmen and 1 new sophomore so it was definitely an exciting challenge to onboard and prep the new members for all we do! Need help planning your next costume? Check out this FREE Download: The Imagination Kit - A Costume Planner!